This is a boiler room in a commercial building. 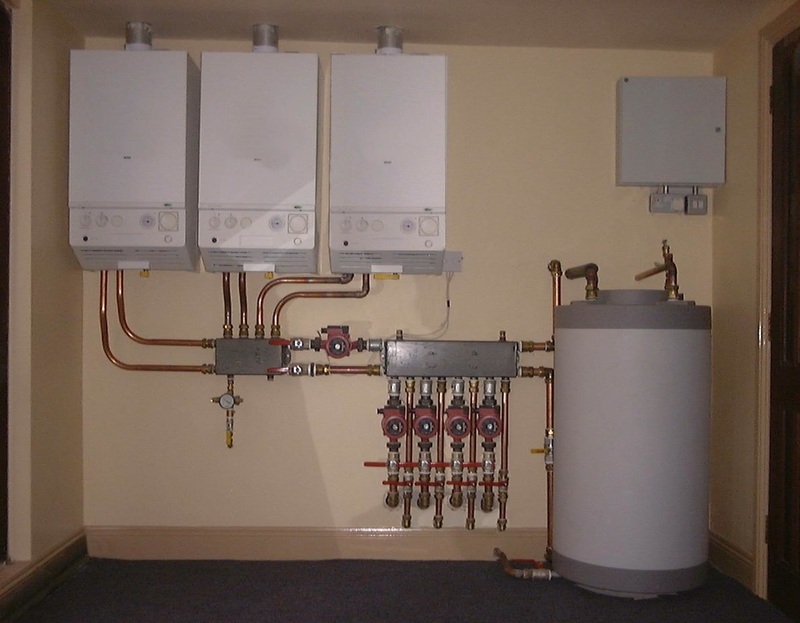 Three boilers are connected to the smaller SystemZone. 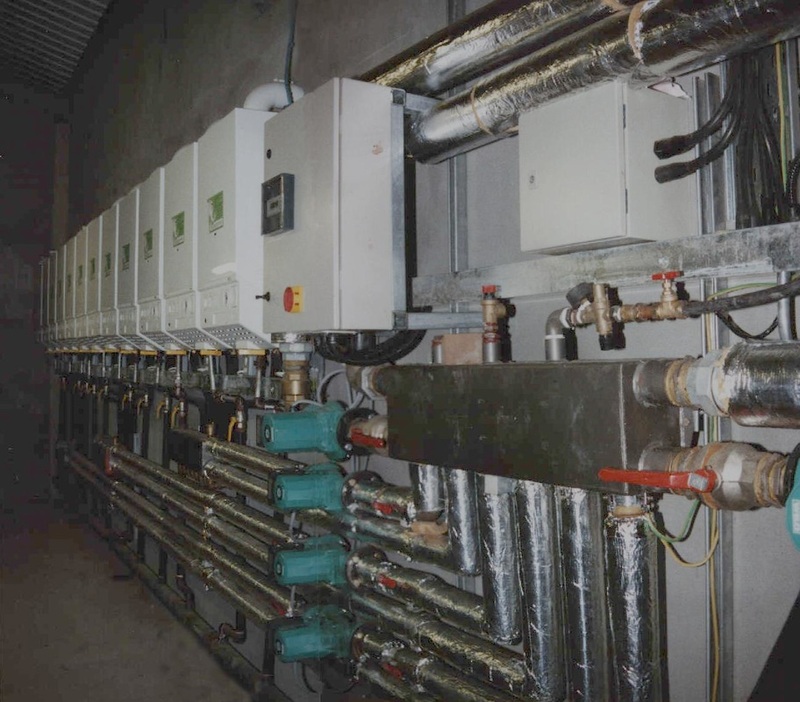 Here is an array of twelve balanced flue boilers in a cinema complex. The boilers are connected to three SystemZones that feed the larger SystemZone in the foreground. ​This SystemZone takes the combined heating output to the heating zones, which are subdivided off-picture using further SystemZones.